David Rockefeller inherited many things: a storied name, unimaginable wealth, an inquisitive mind, and a profound compulsion to collect. Both his parents had the collecting gene. His father, John D. Rockefeller, Jr., was the only son of John D. Rockefeller, the founder of Standard Oil and one of the richest individuals in American history. John Junior collected old masters, including Duccio di Buoninsegna, Piero della Francesca, and Francisco Goya, while David’s mother, Abby Aldrich Rockefeller, preferred the fresh and new. She flung herself into collecting contemporary art, which at the time meant artists such as Pablo Picasso, Henri Matisse, and Wassily Kandinsky. She was also a driving force in the creation of the Museum of Modern Art in New York. David started collecting when he was a small boy. “I do not remember whether I started first with stamps or with beetles, but both collections must have been under way by the time I was ten years old,” he wrote in a special catalogue of his collection that he published in 1984. “Obviously, neither beetles nor stamps are directly cultural concerns, yet my interest in and curiosity about them set certain patterns that I suspect have influenced me throughout my years as a collector.” With his wife Peggy, David Rockefeller went on to collect masterworks across numerous categories, including 20th century European painting, American modernism, European porcelain, and English and American furniture. A noted businessman, statesman, and philanthropist, David Rockefeller passed away in March 2017, at the age of 101. “No individual has contributed more to the commercial and civic life of New York City over a longer period of time than David Rockefeller,” said businessman and former New York City mayor Michael Bloomberg in a tribute. Shortly after his passing, the Rockefeller family announced that following David’s wishes, his collections would be sold at auction with all sale proceeds going to nonprofit organizations, including his alma mater Harvard University, the Museum of Modern Art, the Council on Foreign Relations, and Rockefeller University. Almost 1,600 lots will be offered for sale in May in a series of auctions at Christie’s. Expected to be the most valuable single owner sale in auction history, the offerings include both a Picasso painting that may go for more than $100 million and costume jewelry with pre-sale estimates under five hundred dollars. David Rockefeller not only collected; he reflected on and wrote about his collecting, penning three essays about this lifelong passion. The first essay, written in 1984, was included in Volume One of what ultimately became a five-volume collection catalogue that Rockefeller privately published to share with friends and family. Ten years later, he wrote the foreword to a catalogue for a MOMA exhibition, Masterpieces from The David and Peggy Rockefeller Collection: Manet to Picasso. Lastly, he included a chapter on his experiences as a collector and MOMA trustee in his 2002 autobiography, Memoirs. These reflections take us inside the mind of one of the great collectors of the 20th century. They help us understanding his thinking and what art meant to him and his family, and how it enriches us all. 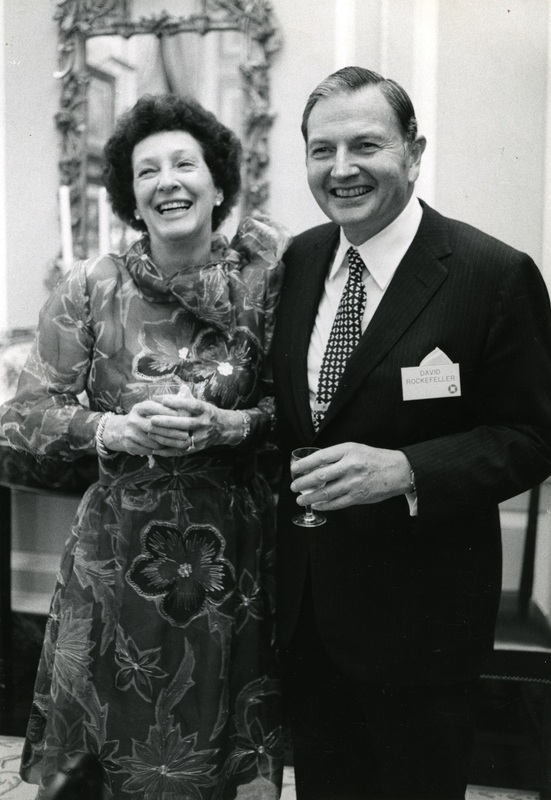 David Rockefeller shared his passion for collecting with his wife Peggy, whom he married in 1940. She predeceased him in 1996. Art critics and curators rarely use the word “beauty” anymore to describe a work of art, unless they want to be ironic. The notion of beauty, however, was at the core of what David and Peggy Rockefeller collected. In addition to having a keen eye, David Rockefeller was able to access the best advice possible before buying a work of art. For Rockefeller, the pursuit of the best objects also led to substantial financial rewards. While David Rockefeller’s parents where passionate collectors, as where many of his siblings, the collecting gene did not pass to the next generation. *This article appeared in Artsy Magazine on April 19, 2018. Click here to be taken to the Artsy website. David Rockefeller, Preface to The David and Peggy Rockefeller Collection Volume 1: European Works of Art (privately published, 1984), p. 13. David Rockefeller, Forward to Masterpieces from the David and Peggy Rockefeller Collection: Manet to Picasso (Museum of Modern Art, 1994), p. 7. Ibid, Vol. 1, p. 67. Ibid, Vol. 1, pp. 65-66. Ibid, Vol. 1, p. 66.